Mogadishu. Somalia. 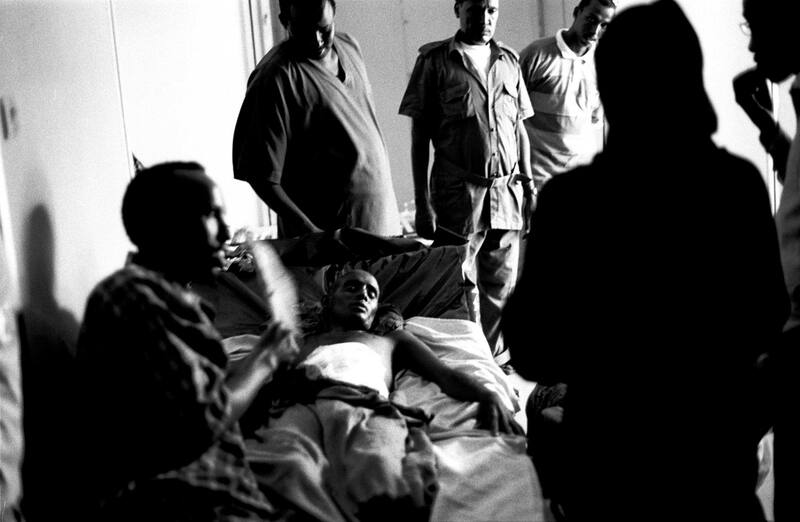 2007 A man with bullet wounds being comforted in Medina Hospital. Since 2007 Mogadishu has lost more than half its population, as civilians flee fighting between the government and insurgents.